You can't pick up an advertising textbook that doesn't mention Avis Car Rental's slogan, "We try harder." The poster child for competitive positioning, the slogan was at the time of its roll-out half a century ago a powerful shot across the bow of the Number One car rental company, Hertz. Alas, Avis has announced it will retire the slogan in favor of a new one, "It's your space." Avis' chief marketing officer told Advertising Age the new slogan "presents the brand in terms of the customer experience and the advantages inherent in renting from Avis." Nothing lasts forever in this wayward world. 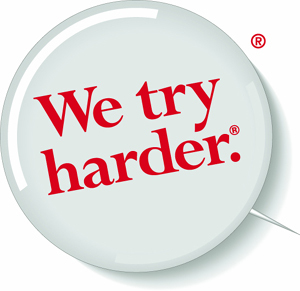 But I wonder why Avis chose such a humdrum slogan, when it had something so right. I have a feeling the next early retirement at Avis will be the CMO.